It is recommended for your child to have their first dental appointment when their first tooth comes in or by their first birthday. Pediatric dental cleanings are an important part of a lasting healthy smile. 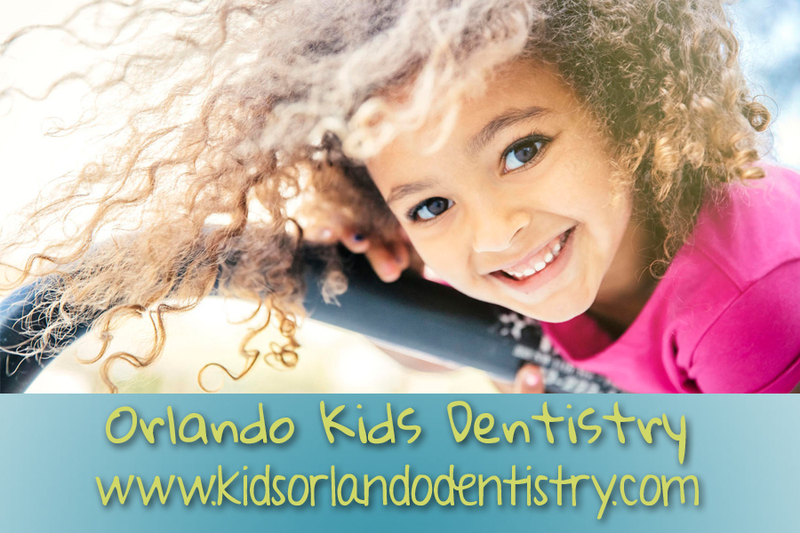 Pediatric dental cleanings at Kid’s Orlando Dentistry are fun with our knowledgeable and trained pediatric dental staff. Your child’s first visit should be a positive experience and our staff is here to make every effort it is! Our pediatric dentists will examine your child’s bite for possible orthodontic recommendations and make sure your child is cavity free. If your child should need further pediatric dental treatment one of our skilled dental staff team members will provide the caregiver with information about the recommended treatment. At Kid’s Orlando Dentistry, we understand that keeping children cavity free can be simple. To achieve this goal it is important to teaching children how to brush and floss their teeth correctly from an early age. Parents must also be shown how to help their children, not just with the brushing, but also by providing healthy foods that are less likely to cause dental decay. In addition, the pediatric dentists at Your Downtown Dentistry recommend getting prophylactic teeth cleaning for children at least twice a year to make sure that food deposits and plaque buildup on the child’s teeth are removed efficiently. With a good cleaning in the office and healthy oral habits at home, your children will have a beautiful, healthy smile. What takes place at the cleaning appointment? At the prophylaxis appointment, the teeth are cleaned using an electric prophy brush and special toothpaste. For older children, an ultra sonic scaler is used to remove calculus. Sometimes hand instruments are used to get to hard to reach places. During the cleaning appointment, fluoride treatment can also be done to strengthen the enamel of the child’s teeth. If a fluoride varnish is used, children can eat right away, but are advised to stay away from hot foods or carbonated drinks, like soda. If a fluoride foam is used, children are asked not to eat or drink for at least thirty minutes. Although the chewing surfaces may feel sticky, it is important not to brush off the fluoride. The longer the fluoride is on the teeth, the more effective it will be in strengthening the teeth. Bringing your child in for dental cleanings at least twice a year is a great preventive measure that can keep oral disease at bay. The dentist will be able to detect early signs of problems that could lead to more serious and more expensive treatments in the future.